The Italian fashion house of Missoni is known worldwide for knitwear in bold geometrical designs. 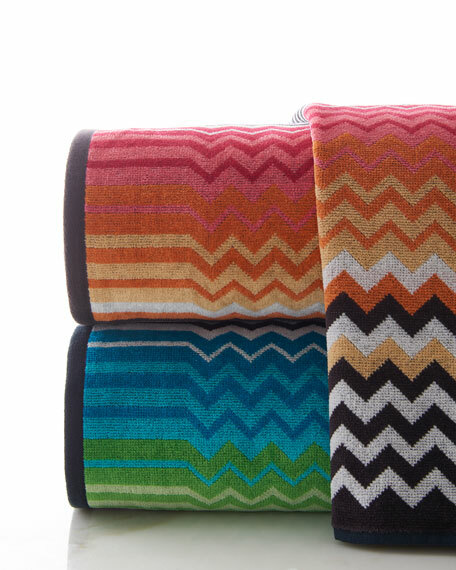 With Missoni Home, the company's signature striped patterns and captivating colors are featured on eye-catching bath linens. 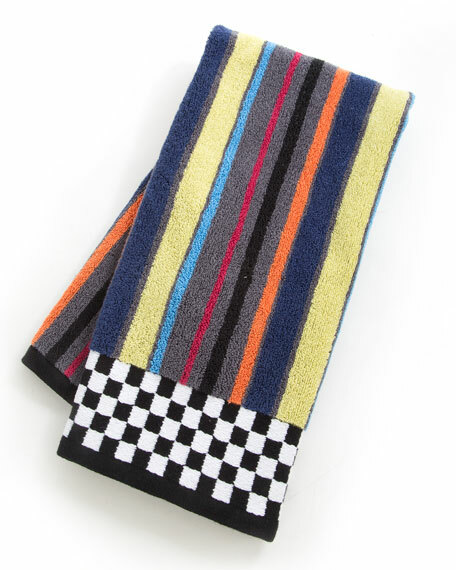 These chic bath staples are stylish enough to serve as decorative accents, in fine cotton that is made in Italy. White Supima cotton terry loop towel with sateen hem embroidered in your choice of colors.650 GSM luxury weight.18" x 28".Machine wash.Imported.